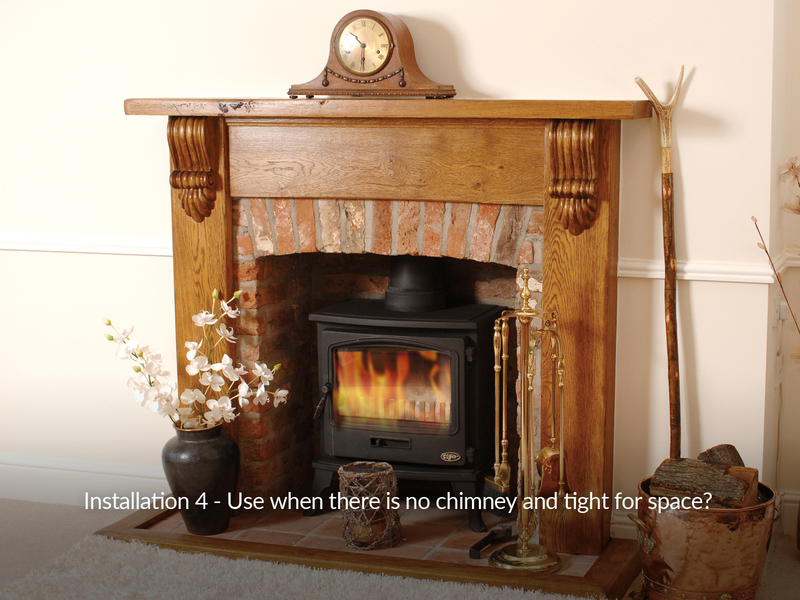 Use when there is an existing chimney breast. This is the most popular way The Stove Box is used as many houses have a chimney. This will have a chimney stack with a pot on the top, and most likely would have had an open fire in it at some time. 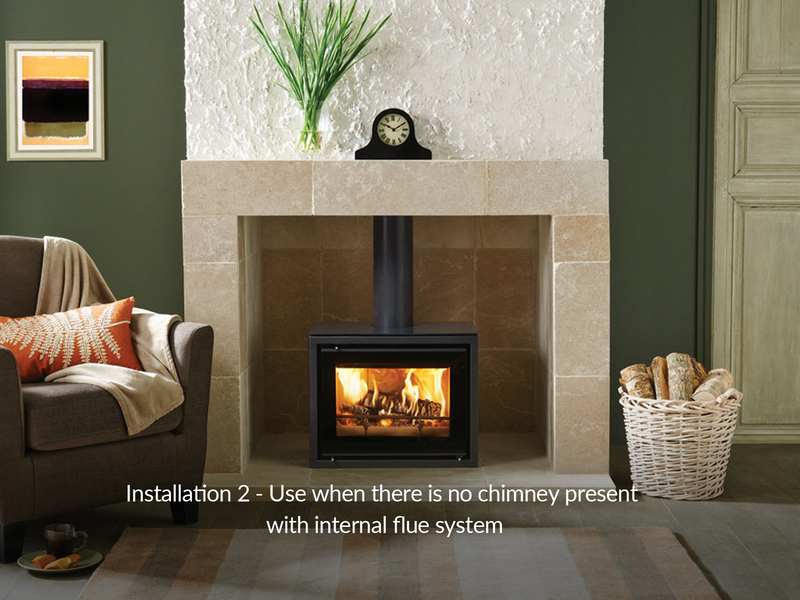 When installing a gas, multi fuel or wood burning stove in an existing chimney breast a chamber has to be created, which can be difficult to get square. 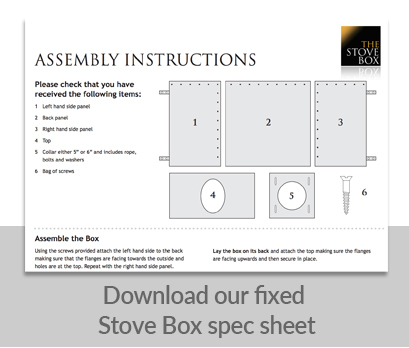 The Stove Box slots in, face fixes then with a wide choice of interiors you can create your own fireplace. 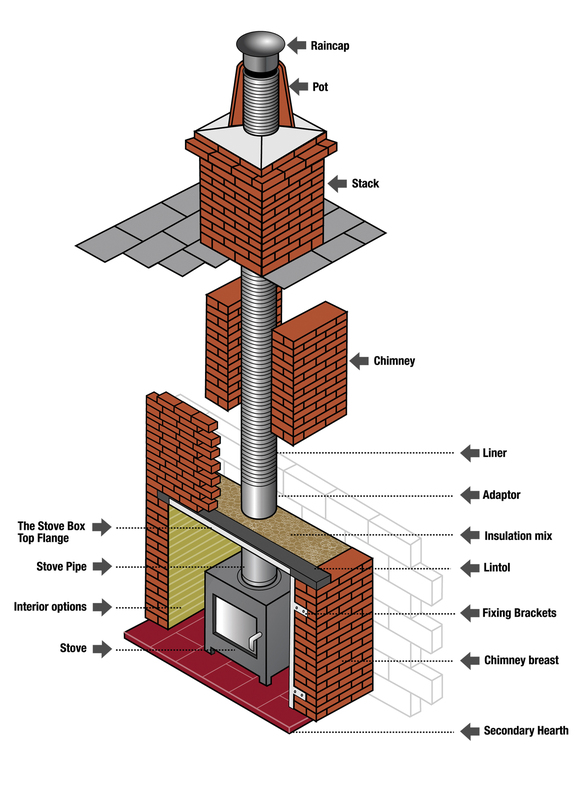 The liner then is brought down the chimney and connects to the stove with various adapters. With the adjustable collar, this makes it easier on site to get a complete seal from pot to the stove. 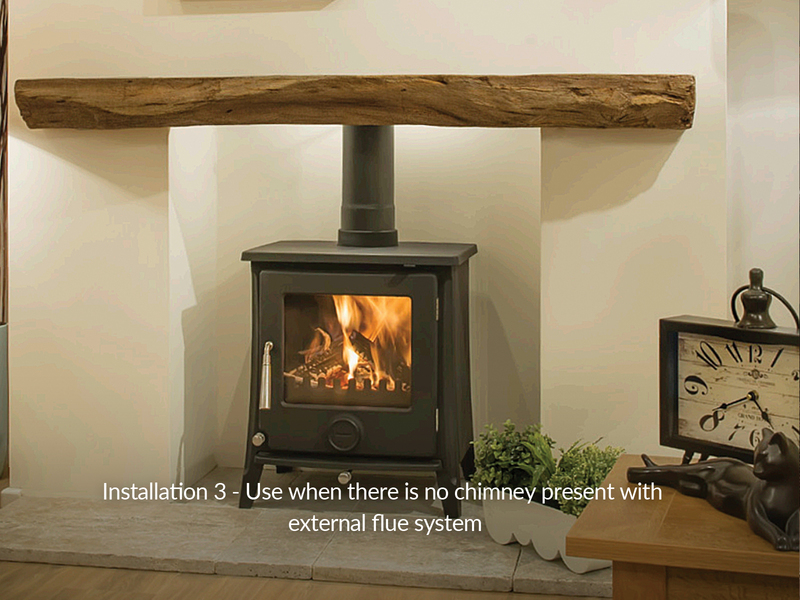 This enables the stove to work as the manufacturers recommend. 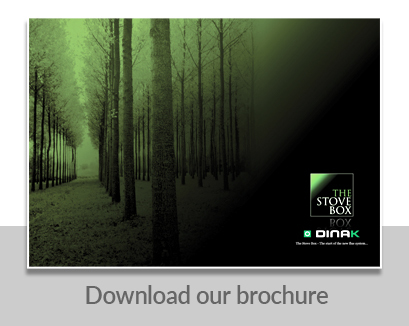 The stove box is surrounded by an insulation mix which improves the output of the stove into the room rather than a percentage going out through the sides, back and above especially on an exterior breast in an installation with the more conventional register plate install. Installation 4 - No chimney and tight for space? 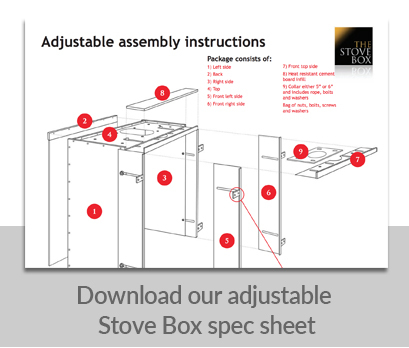 The Stove Box comes in four fixed sizes, SB1, SB2, (adjustable) and Blazer and SB4 (rigid). 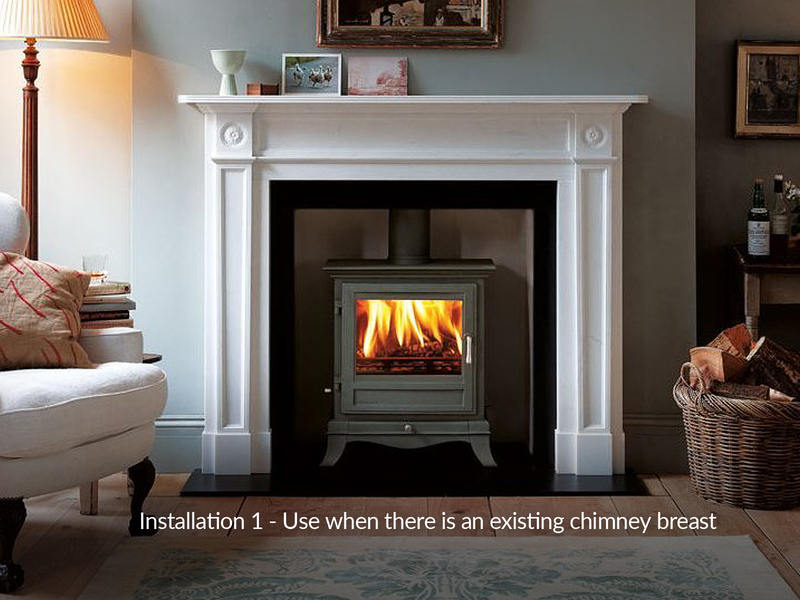 When installed, the stove box sits on the hearth and it is sealed before any fireplace is placed in front. © Copyright The Stove Box. Designed and built by www.edgeinteractive.org.uk.